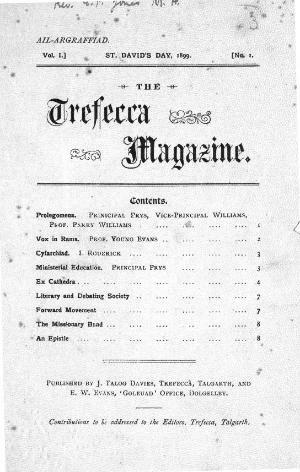 The irregular bilingual general periodical of the Calvinistic Methodist College at Trefeca. The periodical's main contents were college news, articles on college life, religion and biographies. The periodical as edited by James Talog Davies.